I'm a big fan of Babycakes NYC for a while now so last summer I bought Erin Mckkenna's babycake cookbook. With the extra time I had on my hands that August, I tried to make the red velvet cupcakes and was excited for my friends and sisters to try them. They looked perfect when they came out of the oven and beautiful once they were frosted. At the first bite everyone turned to each other and there was silence. My sister kept reassuring me that they were delicious, but the sound of my friend gagging over the sink summed the flop of this experiment. Sometimes it's just better to buy cupcakes then eat something that looks beautiful but tastes like play dough and olives. 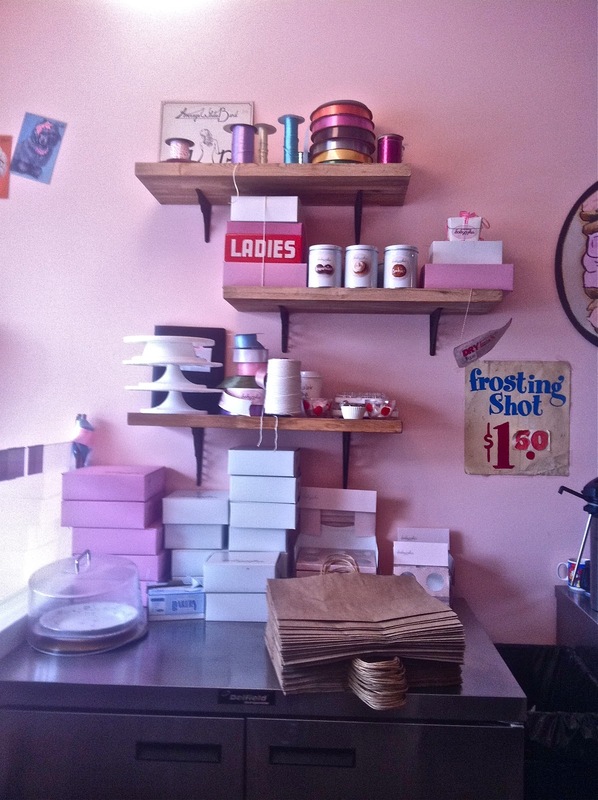 Different from the New York location, Babycakes Los Angeles is brand-new and spacious. Mis-matched chairs surround the square marble coffee-tables, and the freshly painted pink walls lend a cozy and feminine touch.I ordered the red velvet cupcake, banana cupcake, and mint brownie cupcake; all were beautifully frosted. I enjoyed every bite of the delectable frosting, however, the cupcakes were not entirely on par with the cupcakes at the original New York location- where more foot traffic guarantees fresher product. As much as I love the New York location it was still a fun destination spot, and I highly recommend visiting Babycakes in Los Angeles. great job with these pictures!!!! time for a babycakes nyc visit!! Best post ever! I love the saving your behind one cupcake at a time!